How should I make (and spend) money? What gives my life meaning? Should I be afraid of death? Philosophical questions such as these--timely, personal, and relevant to daily life--are explored in the best-selling TWENTY QUESTIONS. 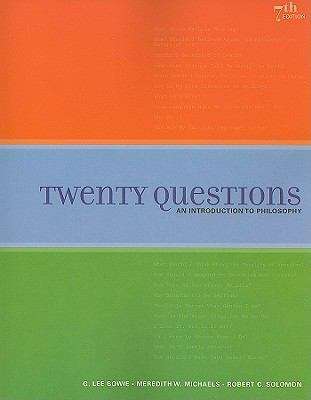 Through an exploration of classical and contemporary approaches to these problems in philosophy, literature, and beyond, TWENTY QUESTIONS provides a comprehensive and engaging introduction to philosophical reasoning.